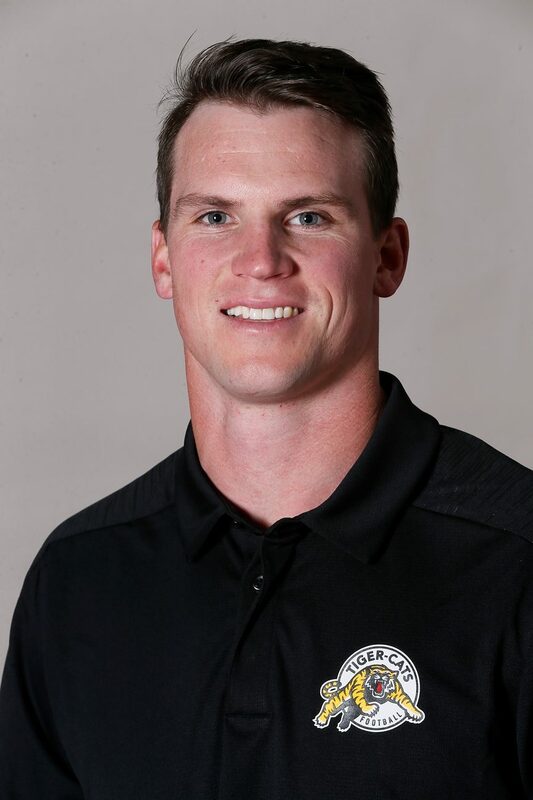 Craig Butler was named Defensive Backs & Special Teams Assistant of the Hamilton Tiger-Cats January 16, 2019. Butler originally joined the Tiger-Cats coaching staff September 2, 2017 upon retiring as a player and served as an assistant coach for the duration of the 2017 season. He was promoted to Special Teams and Defensive Assistant prior to the 2018 season where he assisted the special teams units and was responsible for the safeties on defence. Selected by the Saskatchewan Roughriders out of Western University in the second round, 12th overall, in the 2011 CFL Draft, Butler split his seven-year career with the Roughriders (2011-13) and Tiger-Cats (2014-17). Overall, he suited up in 87-career regular season CFL games, posting 214 defensive tackles, 42 special teams tackles, eight quarterback sacks, 13 interceptions and three forced fumbles. Butler also played in six playoff games, including two Grey Cup games (2013, 2014), and was a Grey Cup Champion in 2013 with Saskatchewan. The 6-1, 201-pound native of London, Ontario, was named a CFL All-Star in 2015 after registering 43 defensive tackles, four sacks and one interception in 14 games for the Tiger-Cats. He also earned his third of three Divisional All-Star selections that season, with the other two coming in 2011 and 2014. Butler would miss all of the 2016 CFL season due to injury and appeared in just two games in 2017 for the Tiger-Cats. Prior to turning pro, Butler played four seasons at Western (2007-10), finishing his CIS career with a total of 115.5 tackles (98 solo, 35 assisted), four tackles for a loss of 11 yards, 10 interceptions for 118 yards and two touchdowns, one forced fumble, two fumble recoveries and 13 pass breakups. In his Senior season, he recorded 46.5 tackles (38 solo, 17 assisted), four tackles for a loss of 11 yards, five interceptions for 52 yards and a touchdown, one forced fumble, one fumble recovery and six pass breakups. Butler was named a CIS All-Canadian and a first-team OUA All-Star in 2010, the MVP of the 2008 Mitchell Bowl, participated in the 2009 East-West Bowl, and was invited to the 2011 CFL E-Camp.